Zulfikri Osman is COO of M-AeroTech. Mr. Osman began his early careers at The New Straits Times, after which he undertook a variety of roles, including entrepreneurship development with MARA, and Education Attaché under the Malaysian High Commission Office, UK. 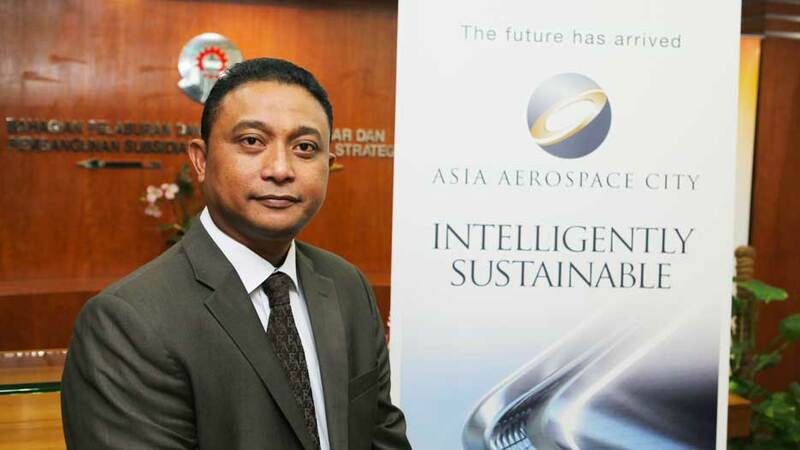 In addition to serving as COO of M-AeroTech, Mr. Osman also sits on the board of MARA, as well as Pelaburan MARA Berhad (PMB). He is also a member of the PMB Audit Committee. 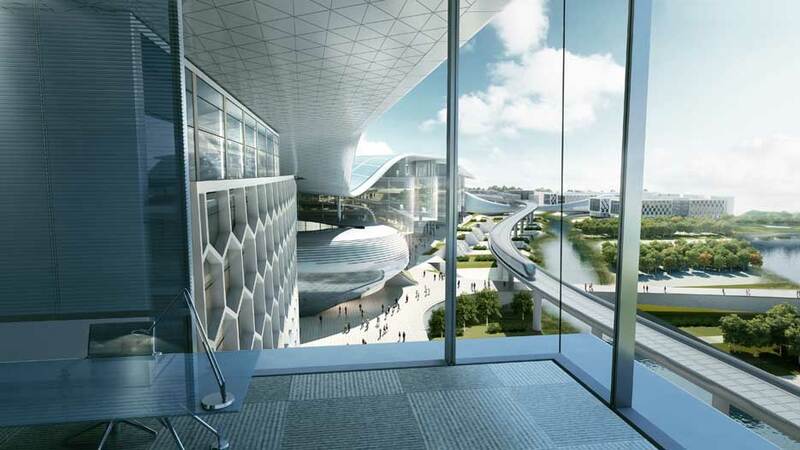 Asia Aerospace City, or AAC, is a very new institution can you tell us a bit more about it? 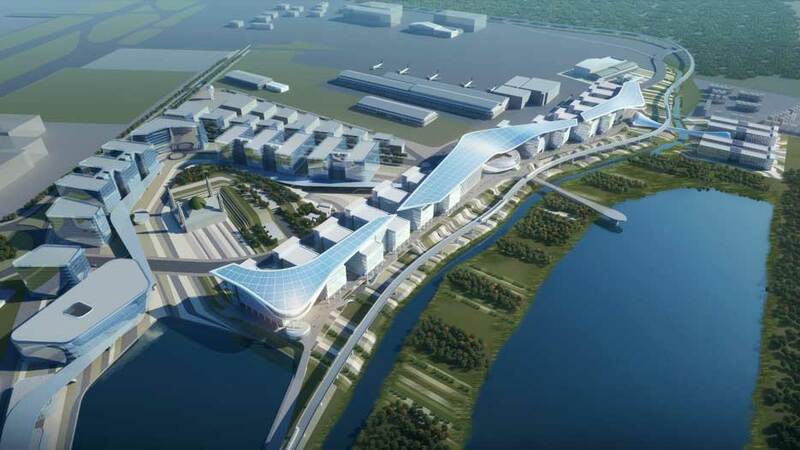 Asia Aerospace City (AAC) aims to make Malaysia the hub for Aerospace OEMs in South East Asia and beyond. 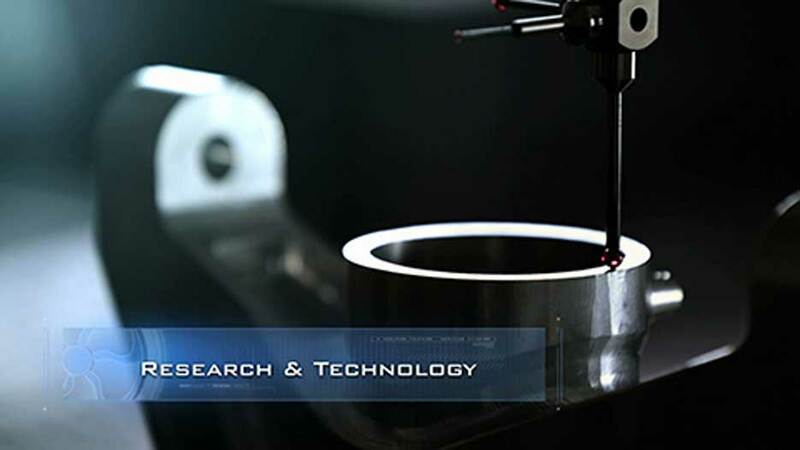 It leverages on various engagement strategies with the Aerospace OEMs across the globe. MARA initiated this idea more than a year ago. MARA is a strategic government organisation that champions capability building for the nation through its activities in education, entrepreneur development and investments. MARA produces approx.30% of the overall Malaysian human capital. There is an expanding need for a more diversified supply chain, sustainable human capital and business growth opportunity in Asia by the OEMs. Fully endorsed by the Malaysian government, AAC is the game changer through its novel sustainable human capital, Research and Technology (R&T) support and value chain solutions. The aerospace industry globally lacks industry ready trained professionals, who could lead and deliver the aerospace engineering requirements on the outset. We believe that with MARA’s vast educational infrastructure, human capital database and global partnerships provides a holistic learning approach for engineers and is one of AAC’s distinguishing factors in providing sustainable human capital for the aerospace industry. Also, Malaysia is at the crossroads of becoming a developed economy by 2020. 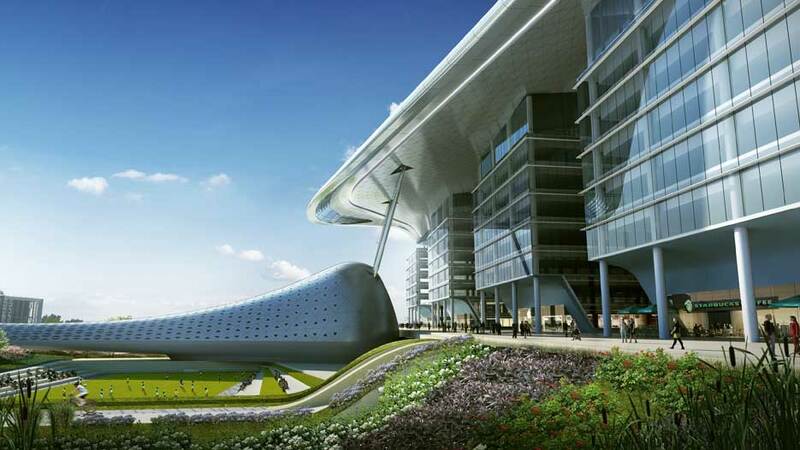 AAC unites human capital with sustainable solutions, infrastructure with expertise, connectivity with consultancy, resulting in a complete business ecosystem that redefines the aerospace engineering industry globally. For us, this is a good opportunity to invite more investment into the country and I think it shall help us enter the high value sector by 2020. Tell us more about the aerospace sector in Malaysia. How developed is the sector? Globally the aerospace & defence industry is forecasted to generate USD1.6 trillion by 2020. Global Aero revenue will touch USD 1.0 trillion in 2020 for the first time in history. Middle class will grow from current 32% to as high as 60% (of world population). This segment defines the next generation of Aviation and the Aircraft industry. The Asian middle class population will grow to a staggering 400% compared to the population today, by 2032. And with the regional businesses and borders opening up, the Asia Pacific region becomes the next frontier for the Aerospace growth. APAC will be leading the world passenger traffic revenue, with almost 40% of the world traffic revenue (RPK) share. This will lead to the emergence of more Regional airlines and the regional air traffic movement. OEMs will find it profitable to serve the region. 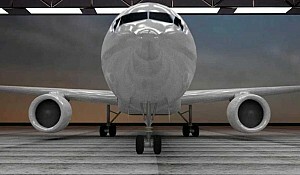 Because firstly, the demand for Aircraft will be much higher than that of in any other place. Secondly, managing costs in Asia is becoming increasingly a positive element that helps drive the profitability of the Aircraft manufacturers. Aside from this, there are also issues. If you look at the books of Boeing and Airbus, there is a backlog of about 7,000 now and this invites questions about their speed of delivery to the market against an increasing demand. And this is after historical record deliveries achieved by both the OEMs in 2014. This tells us that the OEMs need to rapidly evolve technologies to support business strategies (Engineering services, Maintenance, Raw materials) and they need to revaluate their business strategies and leverage on low-cost to make their business sustainable. This is why from our point of view, we think that the Asia Pacific region is where the industry players will come and do their business. Malaysia offers a good geo-political position, good security and political stability, competitive prices, human capital, and so we are good to position ourselves as “Malaysia – the gateway to Asia”. The OEMs are geared for growth with APAC annual traffic at 7.3% vs. the world average at 4.7%, in the next 20 years. Meanwhile, fleet size is growing towards a staggering 12,000 aircrafts for the region until 2032. This is a leap of more than 200% from current numbers. 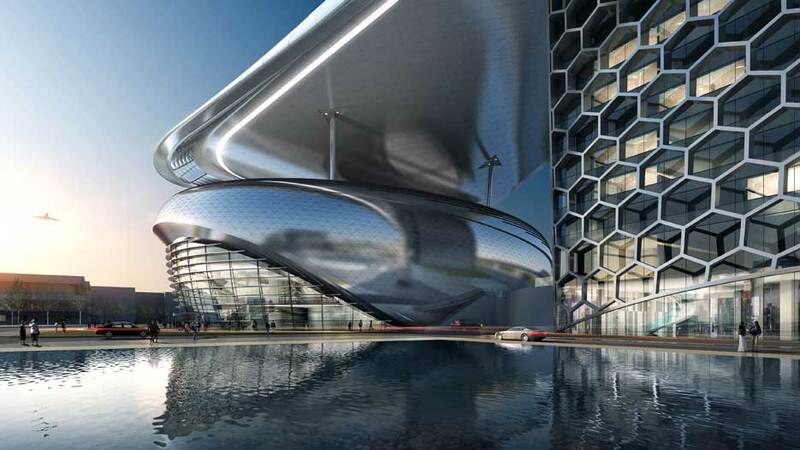 Malaysia is indeed the gateway to Asia as it ushers the OEMs into a new business era through Asia Aerospace City. Why do you think Malaysia is perfectly positioned to attract these advanced industries compared to some of the Chinese and regional hubs? China has been attracting a lot of Aerospace investments, firstly for a very large domestic market and secondly through the low cost of labour. Which is not the scenario nowadays. There has been several increase in terms of the wages and other parts price point; which affected China’s reality as no longer low cost base country for the global aerospace supply chain. It is now projected that soon China will be equivalent to the aircraft home base manufacturing price point e.g. Boeing in USA in the cost index plateau. If you look at other countries like the UAE for example, they have issues in terms of human capital; most companies in the UAE are dependent on expensive expatriate labour. Malaysia is in the middle of the Asia Pacific region, and although we don't have a huge population, we do have an excellent system of education and training. So we believe, we have the capability to produce industry relevant, high quality, high value human capital that will support the sustainability of the business. This will help the aerospace industry to grow in South East Asia and in Asia Pacific. 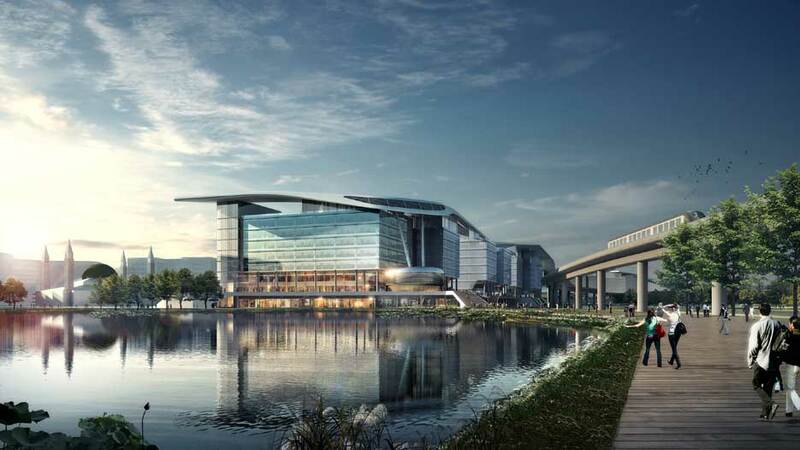 How is Asia Aerospace City participating in the economic growth of Malaysia? What are you doing to transform Malaysia into a high-income economy by the year 2020? By 2020, AAC will add USD 0.5 billion to the country's GNI. If you look at the infrastructure, we will be investing around USD 0.5 billion. From this investment we believe that we can contribute an additional USD 0.3 billion in terms of direct investment. The most important mission of this project is to generate around 5,000 high value job opportunities in engineering and in high value service sectors. What is your goal in terms of the number of companies that you would like to attract? What are your short term, medium term and long term strategies? What are you doing to attract investors to Malaysia? In the short term, our strategy has been to get this project endorsed as the national key anchor project for the national aerospace industry. M-AeroTech is working with all related Government Agencies such as Ministry of International Trade and Industry, the Malaysian Investment Development Authority, the Malaysian External Trade Development Corporation, the SME Corporation, etc. to create the pull and generate the push factors. Also, we have a Business Consulting Centre that is a unified body that drives the industry collaboration through bespoke consultancies and become the forerunner for AAC. I think this will help the players to ease their business development in Malaysia. In the long term, I think that the capability of our human capital will help to sustain the industry. If you look at the budget announced by the prime minister there are lots of funds being put forward for education and training because we want the Malaysian people to be qualified in high value sectors and be competitive against the international standards. This is where MARA comes into it for training human capital? Yes, MARA is the number one agency in terms of human capital development in Malaysia. This agency produces no less than 30% of the national need for human capital. What is the connection between AAC and MARA? My company M-AeroTech is fully owned by MARA; it is a subsidiary of MARA. So we are developing content for the project i.e. the core of AAC, what AAC would stand for. AAC consists of Six SBU (Strategic Business Units) through which AAC contributes to the overall aerospace supply chain/ business platform. Namely, ‘Engineering Services’ provides the analysis & certification of engineering designs & drawings, ‘Professional Development Centre (PDC)’ is the owner of the EE Programme to develop the industry ready talents, ‘Research & Technology’ unit partners with OEM & Research bodies in transferring knowledge and expertise from the OEMs, ‘Business Consulting Centre’ to provide bespoke consultancy solutions to industry supply chain challenges. The ‘Investment’ unit looks at strategic equity partnerships towards technology/capability development. The ‘Infrastructure’, the sixth unit for AAC will be developed by another subsidiary of MARA called Pelaburan MARA. When it comes to the aerospace industry what is the main challenge for developing this industry in Malaysia? There were no OEMs in Malaysia, but now Airbus has come to Malaysia and started business here about one year ago. 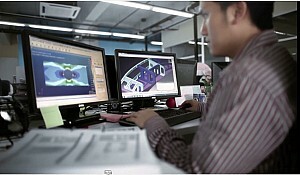 Our challenge is to bring more OEMs to develop a network of supply chain in Malaysia. In terms of the OEMs, what part of their business should be located in Malaysia? Our strategy is to help Malaysia to elevate to another level in terms of the high value added sectors. The focus is on engineering services i.e. dealing with the design of the aircraft etc. We believe that this is the “brains” part of the industry. I believe, while we will be focusing on engineering services and MRO to further develop the aerospace industry, there is no substitute in developing a framework for Manufacturing, as the next challenge for the aircraft manufacturer is the speed to market, as I said earlier. Building an effective and efficient Supply Chain is what will make or break for the industry. If you look at the economic transformation program for Malaysia, there are two entry point projects, there is entry point project 1 under business services that focuses on MRO and the other is entry point project 5 that focuses on engineering services. EPP 7 that has now been approved directs strategies on building a manufacturing supply chain that will be a crucial focus. What is the current contribution of the aerospace industry and of these advanced industries in the current GDP? All together I don’t really have the figures. Do you expect it to grow significantly? Yes I believe so. Because, to sustain the growth of Aerospace demand in AsPac for the next 20 years, the right human capital, an effective and efficient supply chain with knowledge services support like Offshore Engineering Services Design centres are crucial and critical. That is why we are leveraging on this AAC project to make Malaysia the hub for aerospace OEMs in this region. The Professional Development Centre (PDC) is a unique human capital development centre that combines bespoke academic programmes with apprenticeship-like experience through collaboration with members of the industry, to create industry-ready manpower that are at par with international standards. The PDC programmes are benchmarked against the renowned Airbus apprenticeship programme. PDC leverages on MARA’s vast educational infrastructure and human capital database and its partnerships with top universities globally. Already on board are German-Malaysian Institute; Universiti Kuala Lumpur's (UniKL) Malaysian Institute of Aviation Technology; Sepang Aircraft Engineering Sdn. Bhd. (an Airbus Group company); and Glyndwr University in North Wales, the heartland of the British aerospace industry. This provides a holistic learning approach for engineers, which is one of AAC’s distinguishing factors in providing the aerospace industry with a sustainable human capital. With 20,000 Malaysians graduating in engineering yearly, AAC is well positioned to bridge the human capital competency gap in the aerospace industry. What is your long term vision for this project? 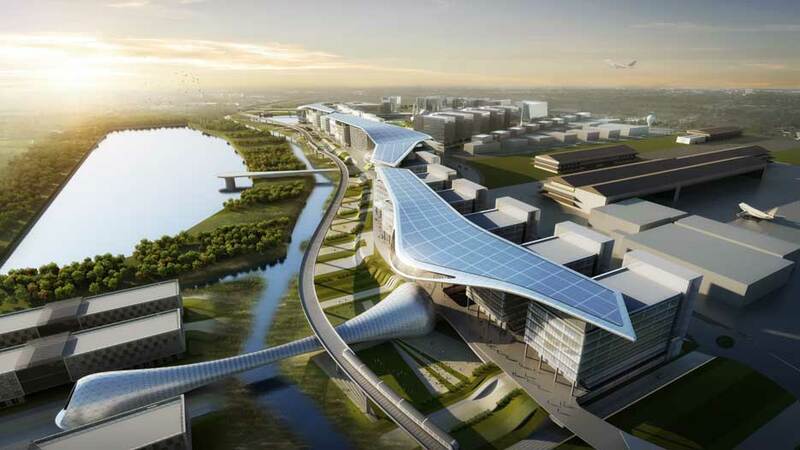 Asia Aerospace City is actually a brand for an aerospace hub and Subang is its access point. The long term vision is to have another Asia Aerospace City in another part of the country. For example, we now have this AAC in Subang and in the future we might have another AAC in Senai (of course, with different offerings). In the far future our plan is to provide services for the growth in the SEA region and Asia as a whole. Can you tell us a bit about the partnerships you are developing with the universities to train graduates for these future jobs? The Professional Development Centre (PDC) which leverages on MARA’s vast educational infrastructure, human capital database and global partnerships provides a holistic learning approach for engineers and is one of AAC’s distinguishing factors in providing sustainable human capital for the aerospace industry. Tailored to the specific requirements of the industry, the PDC develops engineering manpower through a robust recruitment process, followed by bespoke human capital development Training & Mentorship programmes. This takes an approach of an Apprenticeship Programme towards developing Aerospace industry-ready talent with an European standard. These programmes marry theoretical knowledge with industry specific experiences facilitated either within the industry’s environment or within the institutions of higher learning. AAC’s Professional Development Centre (PDC) is a Human Capital Solutions organization that promises to deliver Engineers to Industry specified requirements, and is fully supported by MARA. In this process PDC works hand in hand with Aerospace giants like, Airbus, Rolce Royce, BAE Systems, Strand, CTRM, Spirit AeroSystems etc. This bridges the gap between academic qualification and the industrial requirements. PDC works in collaboration with industry-led academic institutions like, Glyndwr, Cranfield, Coventry, USW and also the OEMs. We currently also have a collaboration with AMIC, the Aerospace Manufacturing Innovation Centre. AMIC is a joint venture company between Airbus and Rolls Royce and with AMIC we also collaborate with the University of Nottingham. In this collaboration we ought to form a body that will develop human capital and experts related to the aerospace industry. The ability to spearhead technological advancements, understanding of the science behind existing technology, and create new economies is paramount in such a highly competitive industry. The Research and Technology Centre is fully equipped and organised with incubation facilities, to research and bring technology preparedness, to support the growth of the E&M industry. AAC partners with OEMs to train and develop industry experts, in line with the global industrial needs. It also develops tooling supply chain for Airbus, virtual training capability for Airbus technicians, and, together with MIAT, supports the Royal Malaysia Air Force by developing the operations of the A400M. One such partnership is with the Aerospace Malaysia Innovation Centre (AMIC), which is located in MARA facilities within the AAC. They pair the industry's demands for research and technology with Malaysian universities. It has received RM 40 million in grants from the Malaysian government, EADS, and Rolls Royce. AAC will also be a pioneer in next-generation MRO IT systems that enhance regulation, such as in compliance tracking; data access and management; and finance and human resource management. The University of Nottingham signed a Memorandum of Understanding with AMIC and MARA. What are the details of this agreement? AMIC - Innovation centre dedicated to aerospace and seeking to increase its access to talents and competences in aerospace related fields. So, with this collaboration framework, AMIC will provide the links to industrial networks, installation of equipment for the purpose of teaching the identified talents. M-AeroTech - is interested in developing High Qualified Human Capital with increased employability on Malaysian and global market place. M-AeroTech will sponsor the talents. We spoke about some of the challenges but what are some of the most difficult aspects of this business in terms of persuading international players to establish their presence in Malaysia? What is their number one concern? It is a challenge. If I compare to other countries in the region, Malaysia might not be the leader in the technology sector but time and again has proved its competency in delivering performances. Today we are the single source for an OEM in providing composites for a particular aircraft programme. Therefore, the main challenge is not to convince the industry players of this. The challenge is to create a synergistic platform that is strategic and collaborative in nature, which has taken the business strategies and future plans of the OEMs into consideration and is able to deliver solutions for that plan. I believe we not only want to bring in the OEMs but most importantly want to grow the capability of the Malaysian aerospace industry, as part of our Malaysian Aerospace Blueprint. And in order to achieve it, we need to bring in international SMEs to work here and to collaborate with the local SMEs on a knowledge-sharing basis. They tend to ask lots of questions. Our human capital has always been our strength and so we have to prove that to them; they need to come and see how we do things here. If I say we have a good training system, for example we are currently promoting the apprenticeship training system to enhance the capacity of our graduates; they have to see and experience this for themselves. Therefore their main concern is human resources? Yes. It has been an issue not only in the aerospace industry but in all high value tech industries. They could employ their own human resources. Yes of course but then for example if the company is from Europe, and they have to bring their own resources from Europe, the cost of running business will be very high and almost non competitive. It only makes sense when they can employ the local expertise for the same job. You mentioned that Malaysia is not the leader in the region but I think that perhaps after Singapore it is the second most successful country ASEAN. Yes. We are not far away from Singapore but when it comes to human capital we believe that this can elevate us to be the leader in this region. There is potential here and we are very optimistic. Do you see Malaysia one day producing its own home grown aviation industry? Yes of course. I believe that one day Malaysia will be producing its own native aircraft, produced using all parts and components made in or made for Malaysia. Is there anything that you would like to add? How is the overall environment of advanced industries being transformed? When you look at the whole industry it is like a jigsaw puzzle. That is why we are currently focusing on being the brains part of the industry. In this industry there are lots of sub-industries, some countries might choose to be heavily involved in manufacturing but for us, because of our human capacity, we have to focus on the brains part of the services, which is engineering. Not only that, but Malaysia is also now developing innovation and different IT parts etc. They have been involved in lots of projects to help develop more innovation in Malaysia. Of course if you want to be a leader you have to move at the speed of innovation. Next year is an important year when the Economic Planning Unit will reveal their 11th plan. You are already probably involved. What do you expect from this? What kind of recommendations are they going to put forth for your sector? I am involved in this high tech industry and I am from MARA, which is the leading agency in terms of human capital development in Malaysia. My hope is that more innovation on training and education development will have to be there for Malaysia to take its next leap into the leadership of high value technology & knowledge services sector. That is why we are collaborating with organizations like AMIC, because we believe that innovation can also help to uplift the training methods to produce the right human capital for the industry.